• Unique compact pulley and intermediate pulley. This gives the system a tighter finish. The Goelst 6200 electrically operated system is ultra-quiet and can be used for reasons of comfort or as an aid for disabled persons or the elderly. The system can also be integrated in most home automation systems and can simulate that someone is home. A very popular track that can be used in a wide variety of situations, such as private homes, but also in office buildings and in the care sector. 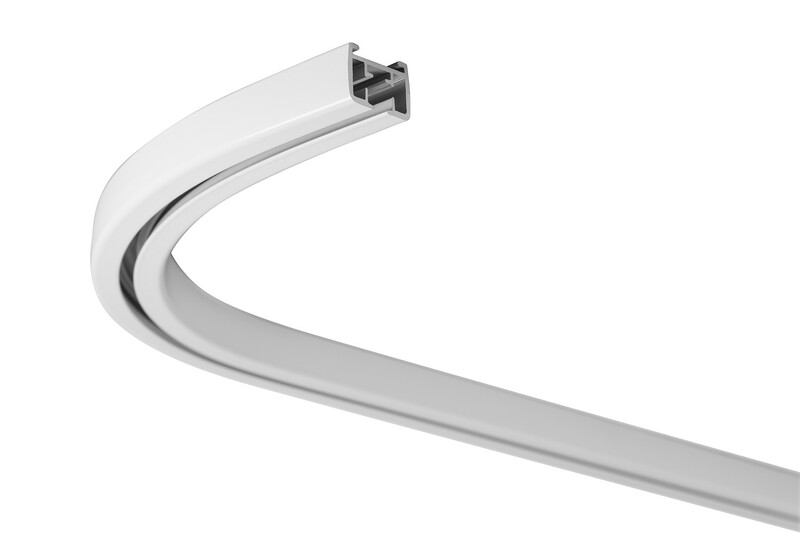 Fitted with a 1.0 Nm motor which is suspended under the last runner at the end of the track; suitable for curtain lengths up to 10 metres and weights of 40 kg. The curtains in the system can be single-sliding or middle-closing. The curtain conceals the motor from sight. 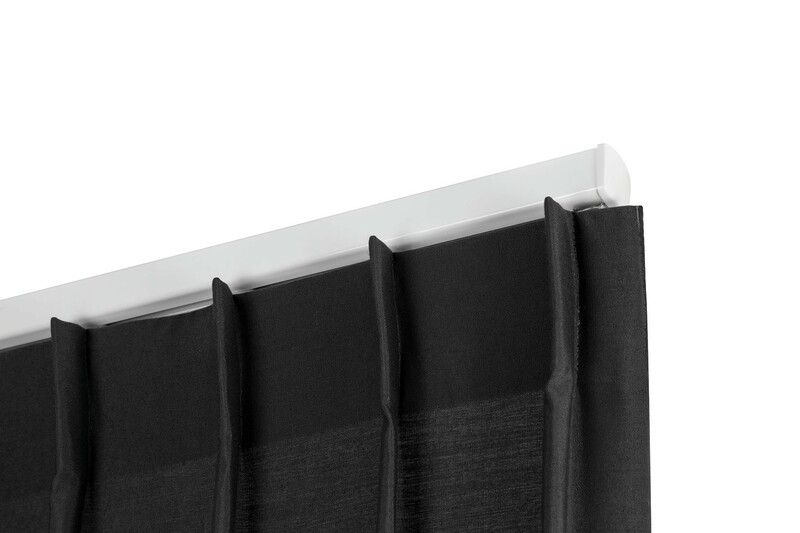 The high-quality, carefully selected materials allow curtains to run silently and smoothly, also round bends. 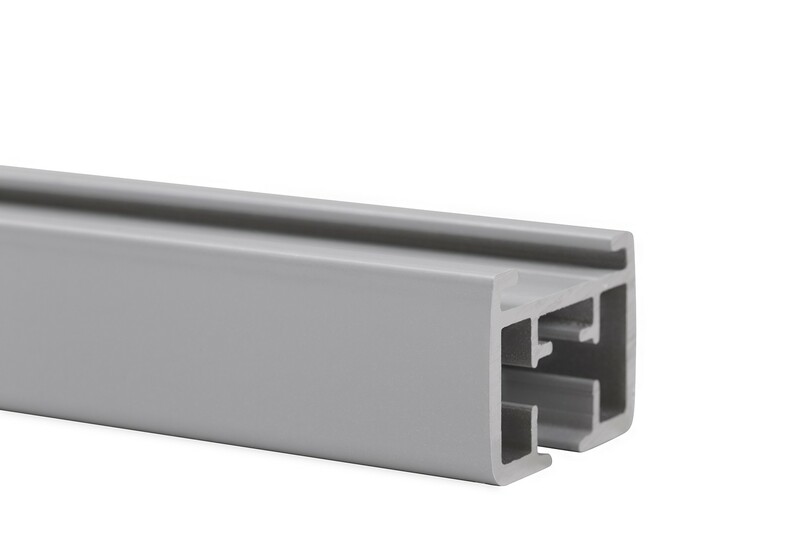 The curtain track can be pre-formed to match customer requirements and delivered as a single piece with a maximum of one welded joint to eliminate the disadvantage of separate bends and joins in the running length. The 6200 can be forward or reverse bent to create attractive returns. • Twelve self-lubricating 4010 gliders per metre and per system. An alternative for this is the a-symmetric projection glider 6010. • Fixing clamp 6050, wall support bracket 6051 or (adjustable) wall support extension bracket 6017. • The supplied system hooks slide onto and around the pulleys so that the curtains can hang around the motor. 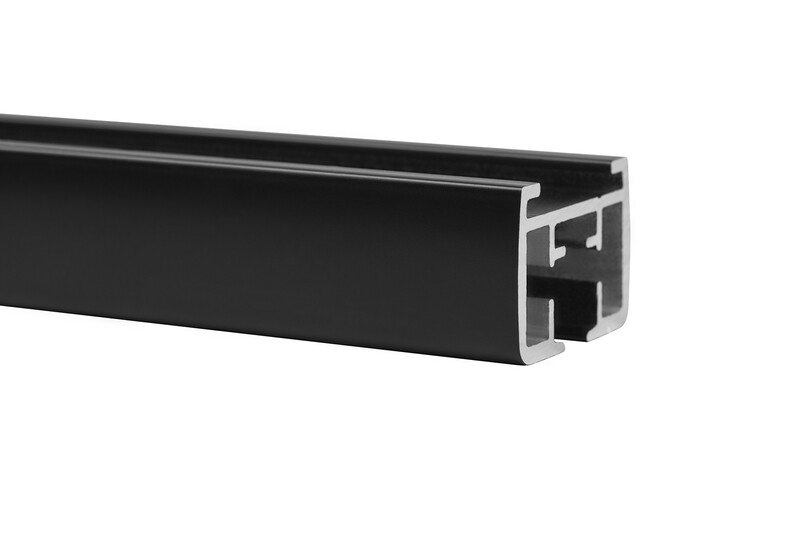 • Curtain tracks longer than seven metres can be joined together with connecting bridge 6052. • 4010 gliders are available with various hook types. • For perfectly closing curtains with an overlap of the curtain fabric, use pilot runner 6274-3000 or the smaller pilot runner 6275-3000. 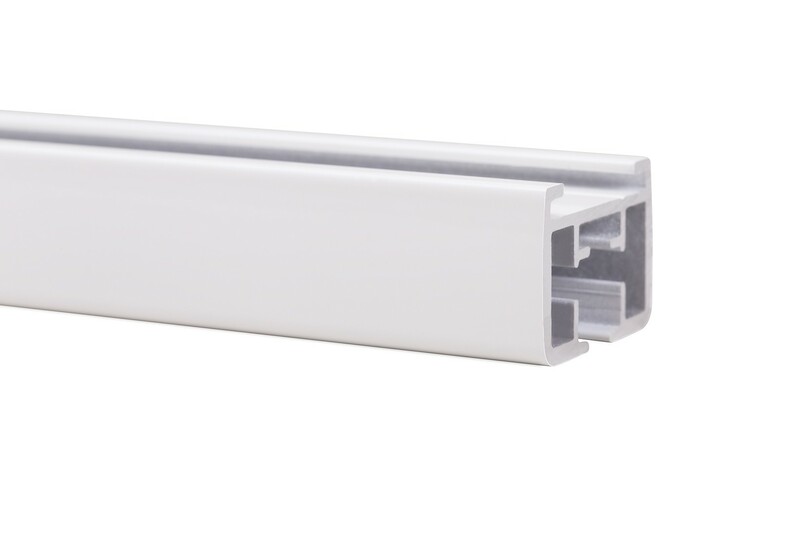 • Track 6200 is compatible with the Goelst Flow system: gliders 4014-060 or 4014-080. 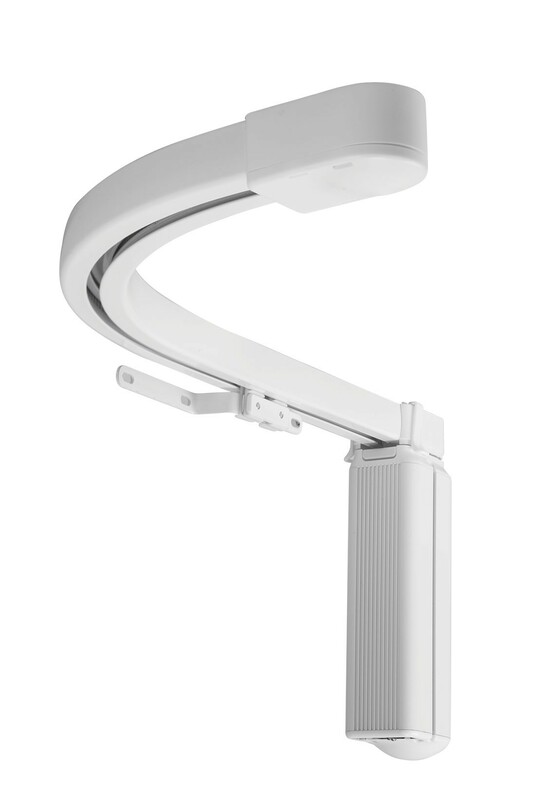 • Ceiling mounting with fixing clamp 6050, ceiling support bracket 6055-1000 or concealed mounting with 6055-2000. 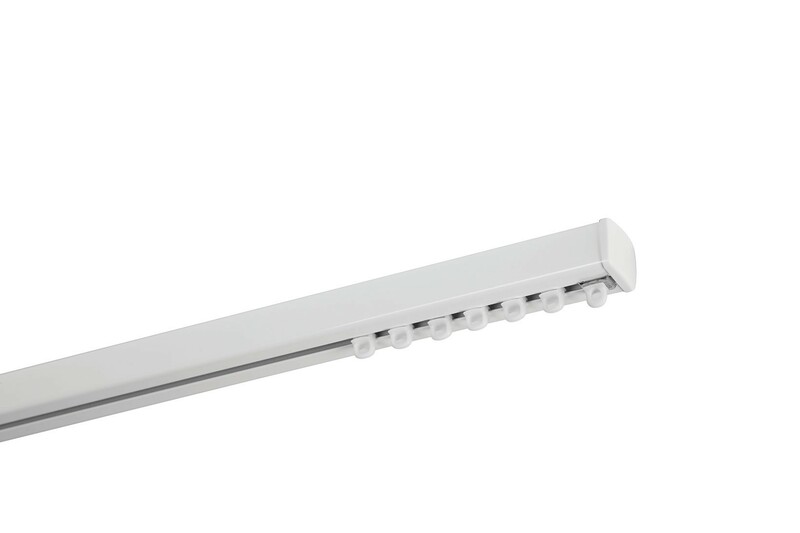 • Wall mounting with plastic wall support bracket 6051, 4cm. • To mount at a distance from a wall, use adjustable support brackets 6017. • 2-button plug-and-play switch 6048-1001-03 with a 3metre power cable. • Infra-red (IR) control consisting of a receiver 6040-2200-W and a 15-channel remote control unit 6040-1100. • Radio (RF) control consisting of a receiver 6045-2200 and optional transmitters (for example, 1-channel 6045-001-G) that can be placed in holders (for example, 6045-WAXO) for recharging. • End pulley or compact middle pulley to give the system a more elegant finish. The use of these pulleys does, however, affect the specifications. • The separate return set 6059 has a standard length of 15cm, but it can be shortened to 9cm. Suitable for ceiling and wall mounting. Powder coating: in accordance with QUALICOAT requirements, thick coating (+/- 100 µm), AkzoNobel/Goelst quality for improved gliding properties and excellent ductility. White RAL 9010, natural metallic RAL 9006 or black RAL 9005. 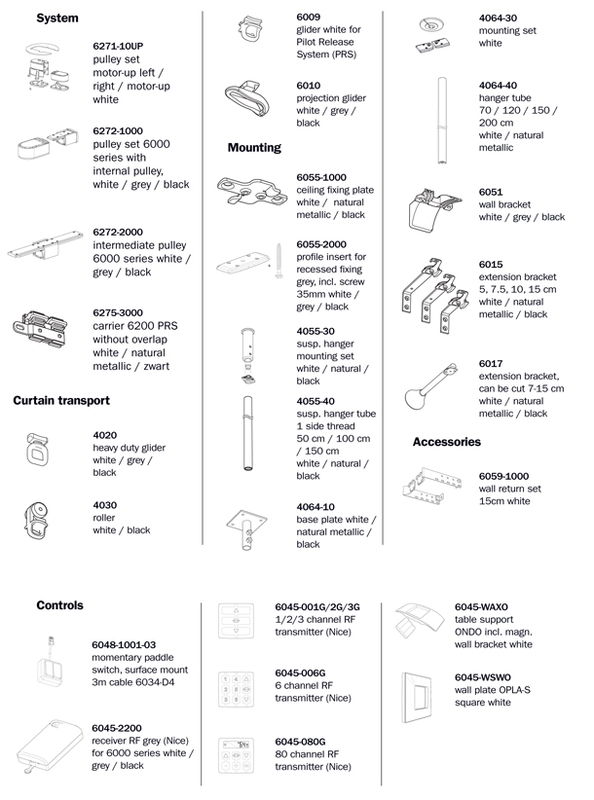 Motor unit 6060-1.0-CPS (1.0Nm with CPS), power supply, pulleys, pilot runner with overlap 6274-3000, toothed belt, twelve 4010 gliders p/m, 6050 fixing clamps, connecting bridge 6052. Goelst self-lubricating gliders made from high quality plastic with added Teflon. Motors 6060-1.5 (1.5Nm with power supply 6030-1.5) or 6060-3.0 (3.0Nm with power supply 6030-3.0); can also be used in a tandem configuration. Manual operation possible via the Curtain Protection System (CPS) fitted in 1.0Nm and 1.5Nm systems. Special Motor-UP placement possible with 1.0Nm and 1.5Nm systems. 4010 gliders are available with various hook types. End stop metal with or without eye. Heavy-duty glider 4020. Projection glider 6010. Pilot runner without overlap 6275-3010. With plastic wall support bracket 6051 (projection 4cm), adjustable luxury model extension bracket 6017 (7-15cm), or extension brackets 6015 for different distances from the wall: 5, 7.5, or 10cm. Return set 6059 for decorative curves. • Using an electrical system to open and close the curtains keeps the fabric clean and prevents stains and signs of wear. • If the system is to be connected to a home automation system, contact the system installer. 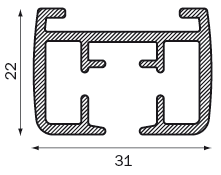 The necessary connection diagrams can be made available to you.